I woke up quite early, 7:30AM, but we did not leave the house until almost 9:00AM. 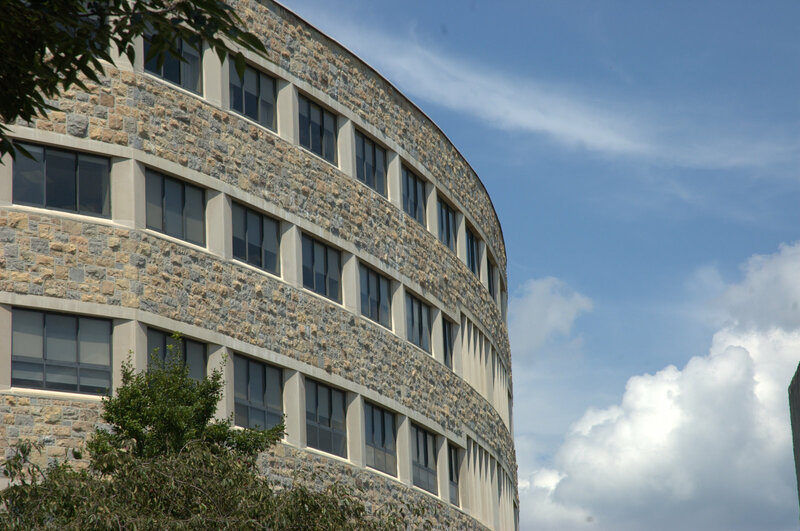 The plan is to visit Virginia Tech University & the vicinity area; then head back home in the afternoon. The trip is long, actually 4hrs long, but we do not mind because it's a road trip! It was a very nice day, 75F & dry, not much more you can ask for at beginning of September. 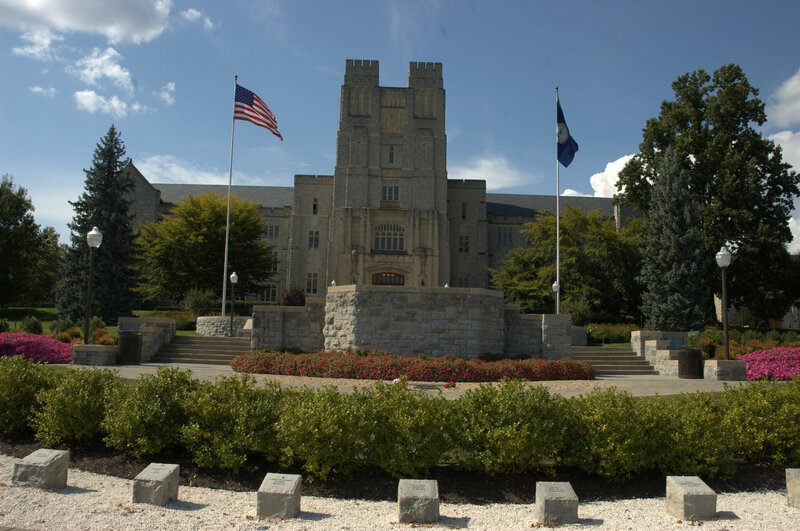 I am looking for this trip for quite awhile, since the route to Virginia Tech provides a nice view to Blue Ridge Mountain, cutting through some high passes, and the university itself is a beautiful architectural establishment. As expected, with the hot cup of coffee and about an hour into the drive, we had left the suburban scenery behind and started to see more green and mountain ranges in the distance. The air was so clear, temperature was comfortable, and the drive was really great. 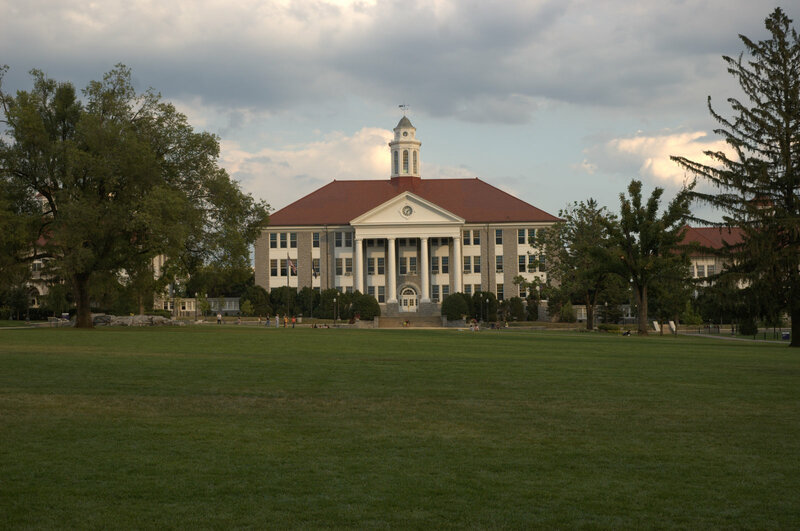 At the two hours mark, we surprised to see the exit to James Madison University coming up. We jumped at the opportunity: refill the gasoline and check out this school as well. The JMU entrance blends in well with the small town settings, with modest sign and classic early 1900s buildings. The main hall is similar to the one of UVA's, only a tad smaller. But the ambiance is so relax, and reserved. We noticed students were staying during the holidays and it was great! For it gives us a glimpse of the student life portrait. We see smiling, happy students walking leisurely around campus, showing how much they enjoy their lives there. Left the JMU behind, we continued on to VT. Another two hours and we're now at the gate of VT. It's BIG! We stopped to check out the map of the university campus and Bảo to text his friend. Alex, Bảo's friend started at this school two weeks ago, so we want Bảo to meet his friend and hang out while we checking out the school. 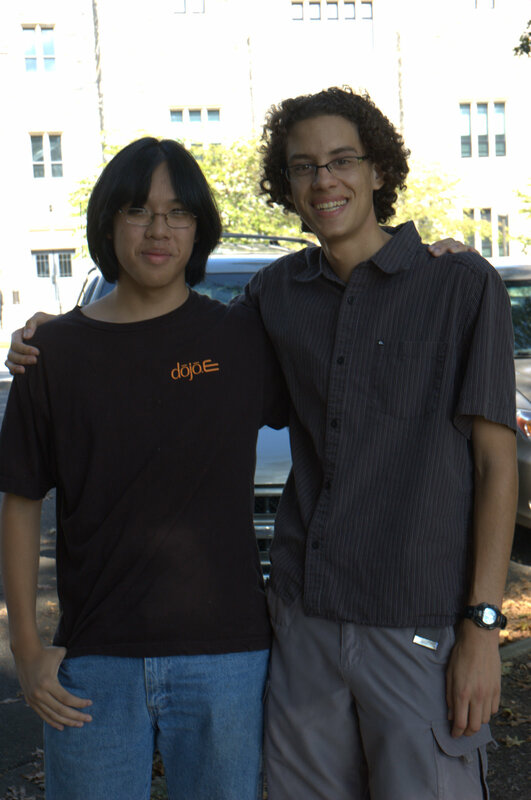 It's better for Bảo to learn from his friends about the school than for us to re-deliver the information we had learned from ... the internet. Parked the van at the school's chapel, we walked toward the bookstore. Most of school's merchandises are expensive, I guess I am not that crazy about the VT t-shirts. We left VT around 3:30pm. On the way home, we stopped at JMU again to have a better look. So we parked the car at the front parking lot & walked inside. The layout of the school is in rectangular arrangement: buildings on the perimeters and green grass fields in the center. There is a new section of the school is under construction. The size is about half or third of VT. The architecture is beautiful brick & stone buildings, with red clay roof tiles. There are few students on the lawn, drawing or doing home works. We spent about 20 minutes there, walking through the buildings and enjoy the landscape. We left JMU around 6pm, and got into Northern Virginia around 8PM. We decided to have dinner at Miu Kee, which has a good variety of Chinese dishes. I was longing for a good bowl of wonton noodles, but it turned out to be not that great. The wonton did not taste fresh; but I finish the whole bowl & then some of Huân's Chow-Fun dish. It was a good trip and I am glad that we had made it. We've now seen few schools and able to compare & rank them. Bảo & Thuỵ have a better sense of university life as well as the atmosphere of a big university. Out of them all, I like VT the most.